Pretty much sums up this sunset that got really busy, there were paragliders and birds all competing for the last breezes of the day. For me any day on the beach is a happy day. Click the link to Sky Watch Friday to see what other bloggers how found in their view of the sky to share this week. 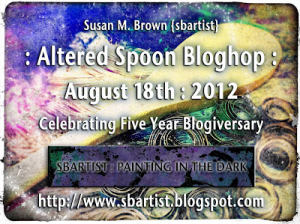 Congratulations to Susan Brown on her 5 year blog anniversary, we are celebrating with a altered spoon project. This was a fun project, had the most amazing discovery after starting the golden honey with metallic ink and topcoating with Tattered Angels Rockin on Sunshine Glam, the paint lifted the metallic in the ink and it was a pool of glittering goodness swirling about. 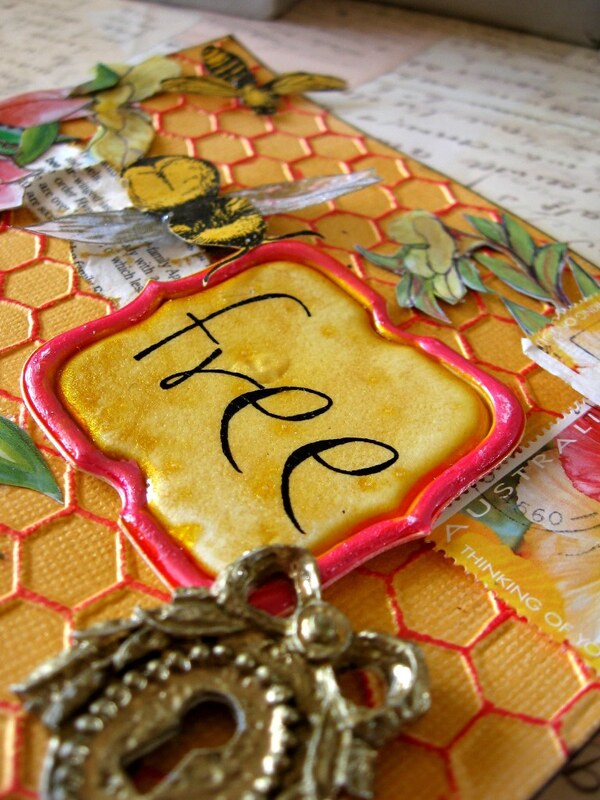 Think that bee theme inspired me for the weekend, sneak peek at our projects for the upcoming Mail Art workshop on My Creative Classroom. sweet shot!!! i exhale.<br /><br />sending love. Lovely blues and peach colors in your sky shot! I like the three horizontal sections in this composition. Stunning photo!! Boom &amp; Gary of the Vermilon River, Canada. 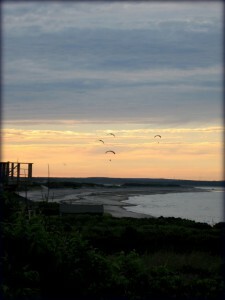 Beatiful sunset, and fun with the paragliders! Terrific capture, Mandy! Beautiful colors and a wonderful way to end a day! Great composition! It is indeed a busy evening there! Very beautiful photo for SWF!I love it,Mandy!Thank you for sharing and have a nice weekend! Beautiful sunset and neat sighting of the paragliders. Lovely photo, happy skywatching! Oh, so true… any day on the beach is a happy day! Beautiful photo. Just beautiful! Visiting from Sky Watch Friday.<br /><br /><a href="http://www.meetourclan.com/2012/08/elephant-ride.html&quot; rel="nofollow">My Skywatch</a>, hope you&#39;d come and see.<br />Have a great weekend. 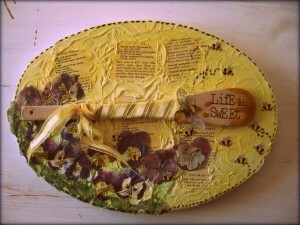 love, love this altered spoon project!!! Hi Mandy,<br /><br />I love this photo. It is just stunning! And I agree, life is always better at the beach. I go for a month every year. It&#39;s where I decompress! Thanks so much for sharing. Love the idea of this hop, Mandy. Great project- want the beach! 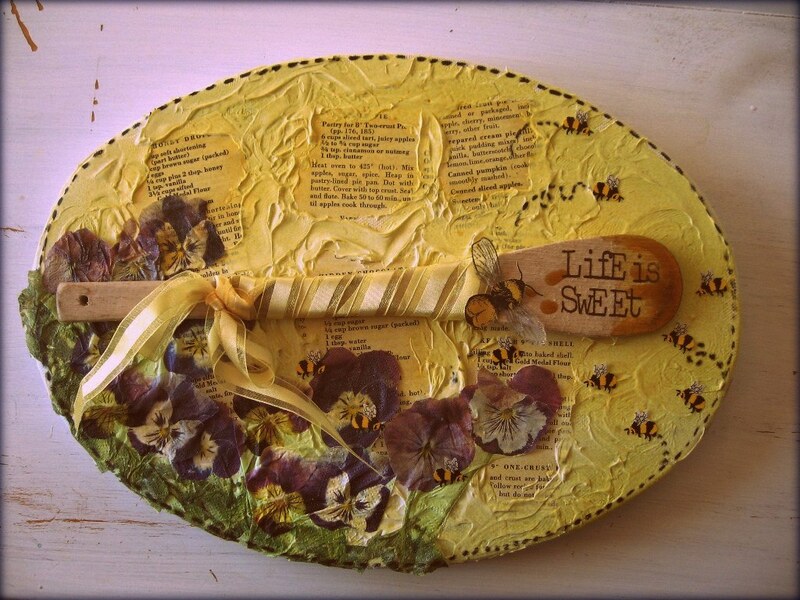 Very pretty project, I really like the colors you&#39;ve used. 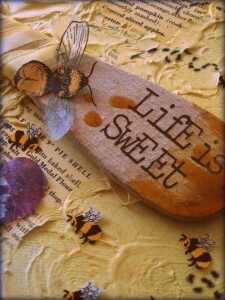 You&#39;ve been a busy bee! These are gorgeous. Beautiful photo, Mandy! And what great projects! Thank you for sharing. Hi Mandy, Thanks for dropping by my blog. Loved talking to you. 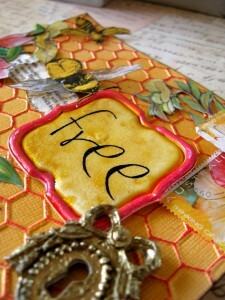 I have admired many of your creations from afar but putting a face to a name is the best! Very creative idea. Love the way you combined everything.